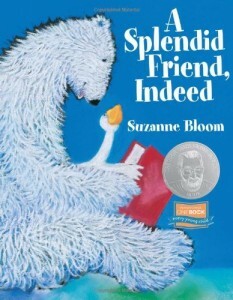 This tender story, written and illustrated by Suzanne Bloom, features a cheerful, chatty goose and a quiet polar bear. How will these two diverse characters ever become splendid friends? Goose eagerly wants to join in Bear’s activities, but Bear just wants to be left alone to read, write and think. Parents may relate to Bear’s longing for some alone time, while Goose’s attempts to connect with Bear reminds us that children need attention and affection. The loving bond that you create when you talk, sing, read, and play with your child helps set the stage for learning! The last page of the book is wordless, which invites readers to tell the story! Look at the illustration with your child and have a conversation. For instance, you could talk about Goose and Bear’s deliciously splendid snacks. Then, take turns talking about your own favorite splendid snacks! 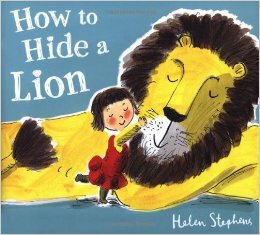 Brainstorm with your child about other animals who may have taken cookies, and what their voices sound like. For instance, a little mouse might say, “Who me?” in a squeaky soft voice, while a lion might use a loud growly voice. The rhyming and repetition in this song builds memory and nourishes a child’s quickly growing brain! What are Bear and Goose doing on the cover? What are they reading about? How are Bear and Goose the same? How are they different? Can you find the tablecloth in the story? How do Goose and Bear use the tablecloth? What else could we do with a tablecloth? Point out Bear’s facial expressions. How do you think Bear feels? How does Goose make Bear feel happy? What can we do today to help someone feel happy? 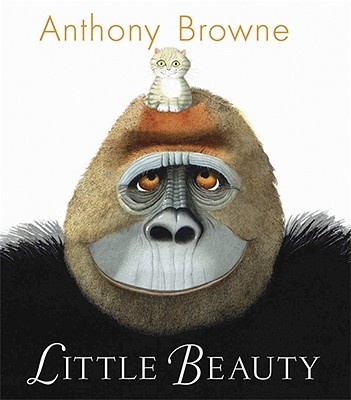 Enjoy more books about friendship & kindness! Check out the following titles at your local Pima County Public Library! In the book, A Splendid Friend, Indeed, Goose writes a lovely note for Bear. Take note that Goose is actually “reading” a picture. Reading and writing are a splendid pair just like Goose and Bear! Activity 1: Encourage open-ended creativity by inviting your child to use plain paper and markers, crayons, or colored pencils to write notes, or draw pictures, for friends and family. 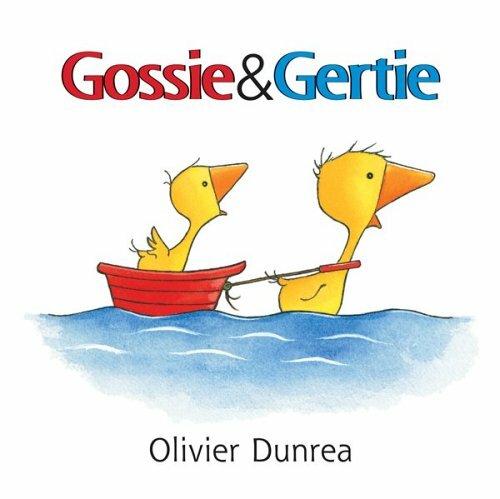 Show your child how to roll up their note into a scroll and tie it with a ribbon, like Goose did in the story. Activity 2: Babies can write too! Let your baby play with edible finger paints, such as whipped cream or pudding, for emergent writing practice. Activity 3: No time for messes? Try mess-free finger painting! Squirt finger paint, or tempera paint, in a gallon size plastic baggie; tape the paint-filled bag to a table, high chair tray, floor, or window. Finger painting is a fun sensory activity that is enjoyable for all ages, and boosts fine motor development. Send a video of you sharing the book together, or singing the cookie song. Send a picture of you and your child sharing a great big bear hug! Be creative! We can’t wait to see what you loved about A Splendid Friend, Indeed.